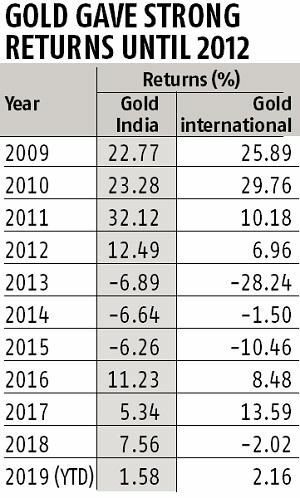 'Invest a part of your portfolio in a global currency that can't be printed, or meddled with -- gold,' suggests Chirag Mehta. Investors often ask us for our outlook on gold and whether it's a good time to invest in it. Our answer to their query invariably is that it is always a good time to invest in gold. The importance of having a 5% to 10% allocation to this strategic asset in the portfolio can't be emphasised enough. Beware currency risk: Many of us understand the importance of saving for a rainy day. We do so diligently through stocks, bonds or bank deposits, which is a good thing to do. But all these investment avenues are subject to underlying currency risk. This is the possibility that a currency will devalue to the exchanger's detriment, either relative to another currency or in terms of purchasing power, thereby eroding the value of his savings or investments. One way you can counterbalance this currency risk is by having some allocation within your portfolio to gold. If you haven't noticed yet, extreme economic conditions are the new normal. World economies have been oscillating between high inflation-led growth and painful slowdowns. This is thanks to constant manipulation by central banks of currencies and unregulated use of leverage. With no gold backing currencies since 1971, there is no longer any restraint on the creation of new money and debt. Central banks worldwide, led by the US Federal Reserve, mint new money to artificially prop up slowing economies and endlessly bail out insolvent governments, banks and corporations. 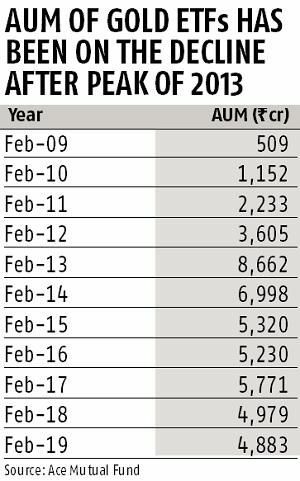 Our financial systems are walking on fiscal crutches. This became evident recently when the world witnessed barely a year of unwinding the excesses of the last ten years by the Federal Reserve, before it decided to take a U-turn to 'brace the slowing US economy'. Moreover, the system is marred by historic debt levels, asset bubbles, currencies losing their worth and unprecedented market volatility. In our view, the world economy is slowly inching towards a systemic breakdown. Inflation eats away purchasing power: All of this makes it impossible for unsuspecting currency savers like us to sustainably preserve our purchasing power. We don't know what our savings in currency will be worth in a few years's time or whether our savings will even exist. Take the case of an average Venezuelan, whose Bolivar savings at the start of 2014 are now worthless, thanks to the mindboggling hyperinflation in the country since then. Or the doubling of prices every day in Zimbabwe in 2008. With daily inflation of 98%, having an income or savings worth even one billion Zimbabwean dollars wasn't enough because a loaf of bread cost two. These are both recent cases of central bank manipulation of currencies gone terribly wrong. Yes, these are rare and extreme instances. But most people never think it will happen to them, until it does. Thus, it is prudent to reduce dependence on these fiat currencies that are subject to the whims and bad decisions of the ones in charge. What should you do? Invest a part of your portfolio in a global currency that can't be printed, or meddled with -- gold. Gold is mostly immune to financial and political mistakes. It is timeless and universally accepted. Unlike currencies, gold retains its value in the long term, mostly because it is rare, tangible and coveted. It also preserves its value because it doesn't generally correlate with most asset classes. It has several pro-cyclical and counter-cyclical drivers. While investment-driven purchases increase during times of contraction and savings, consumption-related purchases increase during times of expansion. 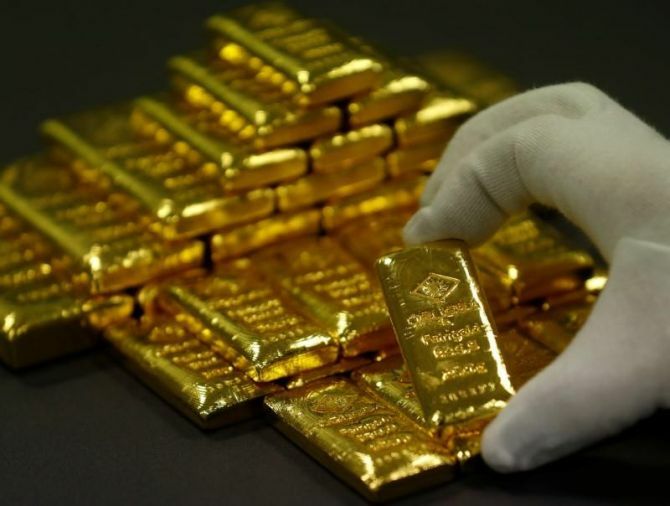 All in all, gold is likely to provide your savings the much-needed stability and value preservation in these unpredictable times, by reducing the impact of global economic and currency shocks. Lastly, don't make the mistake of seeing gold returns in isolation. Owning gold is not about the upside potential, it is about minimising risk to the downside. Use it for long-term stability reasons, rather than for short-term investment-related considerations. Remember, gold is universally accepted, it is timeless, and it is the best diversification against the world's flawed currency systems and bad decisions. Chirag Mehta is senior fund manager-alternative investments, Quantum Mutual Fund.